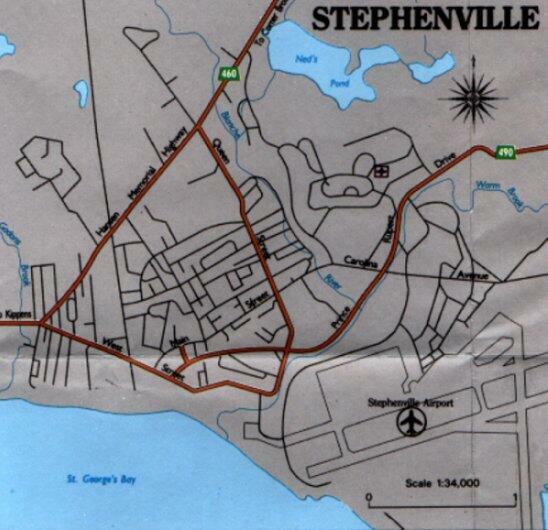 The town of Stephenville lies on the south west coast of Newfoundland on the shores of St. George's Bay. Depart Stephenville on route 460 heading west towards Kippens, Berry Head and Port au Port East. Proceed through Kippens and Port au Port East. Before you cross the peninsula isthemus, turn right onto route 462 which is the road towards Point au Mal and Fox Island River. Continue down route 462 for approximately 2.7 kilometres until you see a community landfill dump on the left hand side of the road and a gravel road on the right hand side. 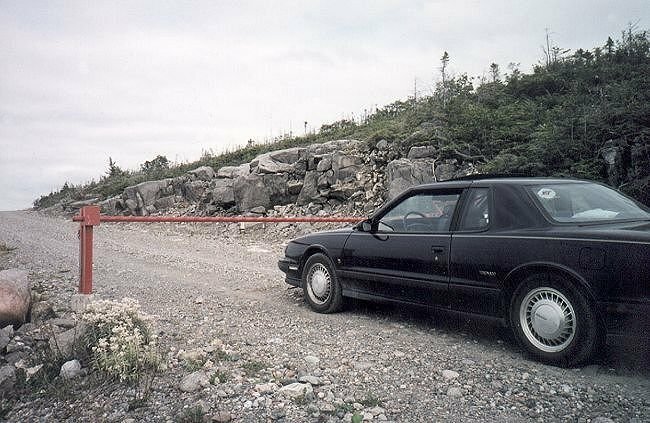 This gravel road has a gate at the entrance and driving access could easily be restricted. 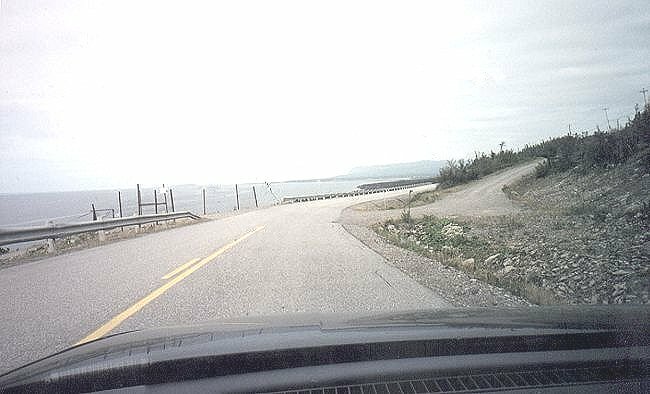 This is the access road which leads to the remains of the old Pinetree Line radar station. Apparently the gate is open from time to time allowing vehicular access. If the gate is closed and you wish to hike to the top, it is estimated to be a "one to two" hour hike, depending on the personal condition of the hiker. Map 1 is copyright Labrador Tourism. Used with permission. 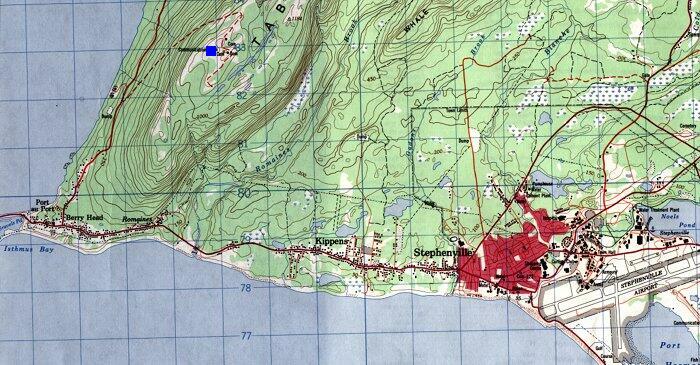 Map 2 is copyright Department of Tourism, Culture & Recreation. Used with permission. Map 3 is copyright Department of Department of Energy Mines and Resources. Used with permission. Map 4 is copyright Department of Tourism, Culture & Recreation. Used with permission.